Your love is eternal and your wedding rings should be equally so. When you visit the time honoured establishment of Hancocks Jewellers of Manchester you will find just such a wedding band. They have been granting the wishes of clients and royalty for over a hundred years. 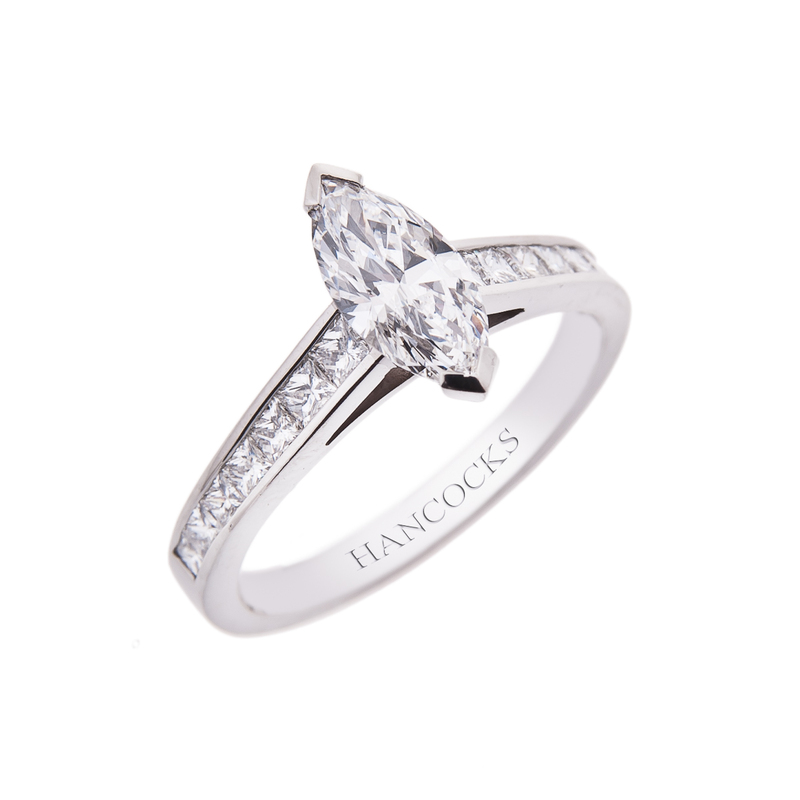 The reputation that Hancocks Jewellery has achieved in the exquisite jewellery business is unsurpassed. The bride to be and her bridegroom will both have many styles and settings to choose from. If you desire something unique in a wedding ring why not examine the design by Georg Jensen. Georg has taken eighteen carat white gold infused it with diamonds and intertwined this wedding ring to make a statement about your own uniqueness. The two or three tiered wedding band will sparkle with brilliant cut diamonds. If you prefer to have this wedding ring in a different setting it is also available in yellow gold. 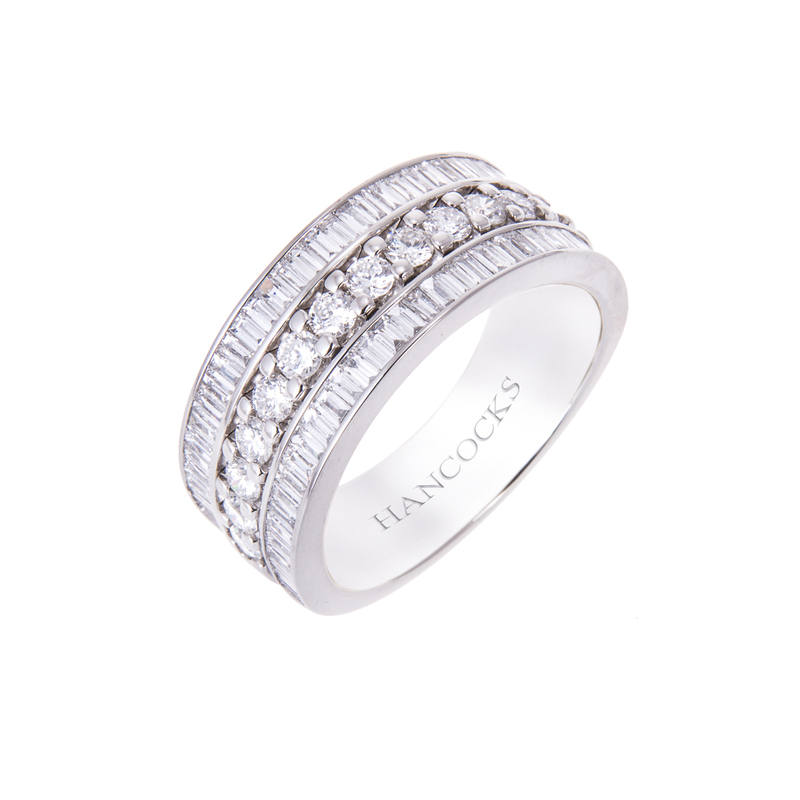 Nothing is as beautiful as a platinum wedding ring with pave diamonds. The elegant yet stylish two rows of diamonds will speak of the eternity that you wish to spend with her. Your love will come shining through every time she looks at her hand. The bridegroom will feel equally as special when the bride slips a magnificent wedding ring on his finger. There are several styles of course, but if he wants to possess a wedding ring that says power along with beauty, then only a platinum ring will do. The satin finish platinum band sports an emerald cut diamond that will bind the two of you together for all time. If the gentleman likes a little more flare he will be eternally happy with the platinum eternity ring with channel set baguette diamonds. The strength of your love for each other will be revealed in this delightful man’s wedding ring. 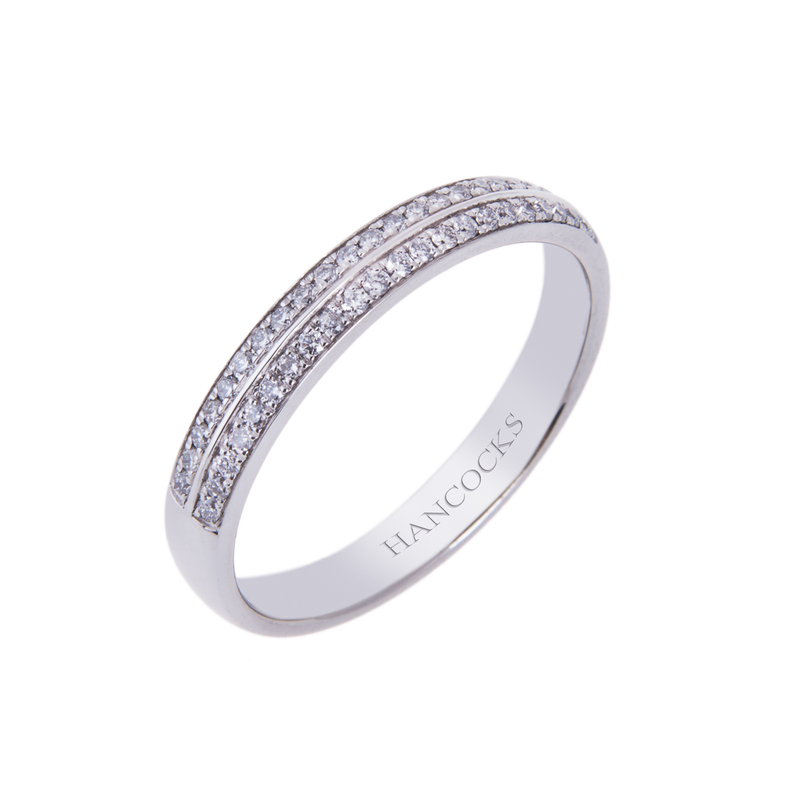 www.hancocksjewellers.co.uk. for a relaxing tour of their offerings. The service you will experience when you enter the world of Hancocks Jewellers will last long after your purchase. They will help you keep your wedding rings looking beautiful for years, with their complimentary examination of prongs and periodic cleanings. 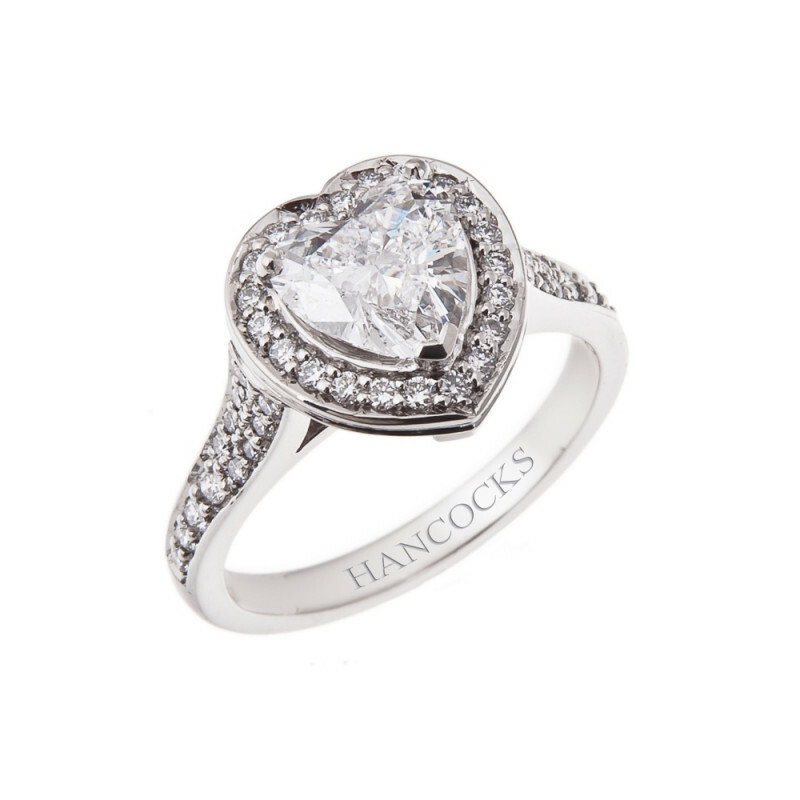 Stop by Hancocks Jewellers today and be whisked away by the romance you will find within.